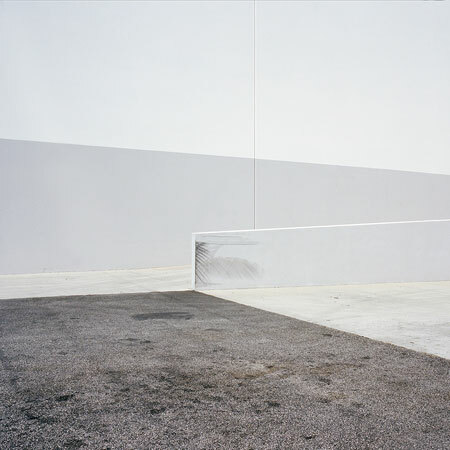 This month, Spencer Harding talks about his series “The Long Lines,” documenting derelict towers from the great microwave relay network, and Sinziana Velicescu talks about her “On the Periphery” series, which renders banal, overlooked spaces throughout Los Angeles as vibrant, minimalist compositions. Spencer Harding is a photographer born and mostly based in Los Angeles. After a long-term portraiture project, he decided to chase down derelict Cold War Era communication towers. When he is not pouring over scans he can be sighted generally getting rad and going canoeing. His current project, “The Long Lines” series, documents the California sector of the great microwave relay network that formed our country’s first coast-to-coast broadband network. They stand as landmarks to the rampant fear of a nuclear armageddon during the Cold War, with foot-thick concrete walls, copper shielding, and underground bunkers. Today, these towers sit mostly derelict in the twilight of their existence, in the shadow of newer fiber optic technology. Sinziana Velicescu is a photographer and filmmaker based in Los Angeles. She is a graduate of the University of Southern California with a B.A. in Comparative Literature and Film. Her photography explores human intervention in nature within landscapes that have undergone political, social, or environmental change. It has been shown locally at such galleries as Think Tank Gallery, Robert Berman Gallery, and Almost Holden Collective, and nationally at the Soho Photo Gallery in New York City, Black Box Gallery in Portland, and Darkroom Gallery in Maine. Sinziana also currently works at Standard Vision, where she conceptualizes and creates live-action content for the company’s architectural media facades. Her latest photo series, “On the Periphery,” explores the aesthetic and utilitarian effect of architecture in and around parts of Los Angeles that are less visited by the general public. Minimalistic in nature and inspired by abstract expressionism and graphic design, it represents a coming to terms with her hometown by shooting subjects that she finds beautiful for their vibrant colors and clean lines but are simultaneously devoid of obvious signs of life and exude a feeling of emptiness. The result is a homage to ‘The City,’ combined with a hidden desire to escape to another place or perhaps another time.